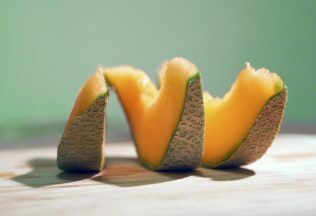 A recent salmonella outbreak that affected a particular rockmelon supply chain has again raised the issue of whether a Horticultural food safety protocol should be introduced as a standard under the Australia New Zealand Food Standards Code. State and territory health and food agencies reported an increase in cases of the Salmonella Hvittingfoss infection between 14 June 2016 and 2 August 2016 that was linked to consumption of a rock melon variety. When the reports first surfaced, there were immediate calls for Food Standards Australia New Zealand (FSANZ) to do more to address the problem. On 3 August 2016, FSANZ announced it was coordinating a trade recall of affected rockmelons. FSANZ also advised consumers to discard any such rockmelons they had purchased. FSANZ is the Federal government body charged with the responsibility of setting the food standards for Australia and New Zealand. FSANZ does not have any enforcement powers itself. The primary involvement for FSANZ to address an issue of bacterial or viral contamination of fruit or vegetable produce or products would be to consider the development of a Horticulture industry food safety standard for inclusion in the Food Standards Code. The big missing sector from this list is the Horticulture sector. Previous attempts to introduce a food safety standard in Chapter 4 of the Food Standards Code for fruit and vegetables, have failed. In 2009, an outbreak of Hepatitis A was linked to semi-dried tomatoes. In response, FSANZ proposed to introduce traceability and processing requirements in the Food Standards Code for semi-dried tomatoes and other ingredients used in their production. This proposal, however, was abandoned in favour of what FSANZ said at the time would be the development of a more general “Horticulture Primary Production and Processing Standard”. Such a standard was proposed by FSANZ in 2012, but was abandoned in 2014. At the time, FSANZ said that a non-regulatory approach, involving consultation between Government and the Horticulture sector, would be preferable. Much of the opposition to introducing a Horticulture safety standard in the Food Standards Code has come from importers of horticultural products and those they supply, principally the major supermarkets. The horticultural importing sector has lobbied against the imposition of Australian standards out of concern that it may hinder their ability to import fruit and vegetables into Australia. On the other hand, local fruit and vegetable producers argue that an Australian standard would need to apply equally to supply chains for imported produce. Despite initial work by FSANZ, it is clear that Australia does not have a Horticulture food safety standard as yet. In 2013, the University of Sydney and the Produce Marketing Association (a body that represents companies that also import large amounts of fruit and veg from outside Australia) established a ‘Fresh Produce Safety Centre’ with Federal government backing. The project was said to be focused on working to improve fresh food safety research and safety practices. The project in effect presented a private sector, industry-based self-regulatory alternative to the introduction of changes to the Food Standards Code. The Food Standards Code is mandatory law, whereas most industry schemes are merely voluntary. As it stands, Australian standards are ad-hoc. Producers can choose to comply with a number of different quality assurance standards, such as the Woolworths Quality Assurance Standard or the Safe Quality Food Code. There are risks that any new laws impacting on food safety may not be applicable equally to imported produce. This has resulted in the government directing its efforts away from FSANZ’s involvement. However, the 1 July 2016 effective introduction of a new Country of Origin labelling regime for all foods is an important element of government policy and facilitates consumer awareness of when a fruit or vegetable is grown or produced in Australia.